The working part/ internal design/spindle/gland side designs are not specified in the ISI Standards except for wrenching portion of the spindle. 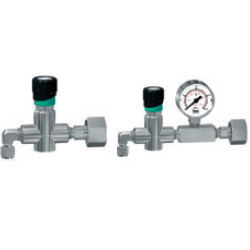 The internal design of the Cylinder Valves are classified in following categories. From the day we have entered in this business realm, we have come up with a wide and commendable variety of Cylinder Valve. Using finest class basic material along with modern tools; these are widely recommended. Also, the complete consignment goes through a series of tests before final dispatch of the order. 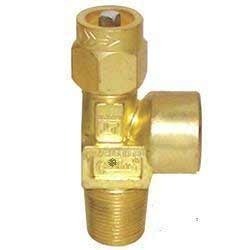 Cylinder Valve is made of high strength brass forging is mounted on CNG Cylinder. It has inlet and outlet connection for fuelling and supply of CNG. It is also equipped with safety device which can release CNG in atmosphere in case of emergency. It is available with manual operative lever type knobs or hand wheel type knob.